Coptic monasticism...has always left it to the wisdom of each man to work out his own salvation. Excerpts from James Wellard, Desert Pilgrimage. We can piece together a picture of what the hermitages were like from the contemporary authors: a hut built of loose stones and covered with a roof of interlacing reeds from the salt lakes (no problem of rain, as it seldom if ever rains in the Wadi Natrun); a reed mat on the floor and sometimes, as in the case of Macarius...a sheep sheepskin for cover; a reed bolster used as a seat during the day and a pillow at night. These were the hermits possessions, and if they moved house they took only their sheepskins, leaving the other items for the next occupant. In the winter the hermit would light a fire of thorns, and these spots of light burning in the immense solitude must have been a comforting sight to those brothers who were new to the desert life. And while those ascetics who were farthest advanced along the road to complete self-abnegation existed on just a few mouthfuls of good, they none the less had in these huts jars of honey and wine and other pleasant foods, vegetables, and fruits, which had been left by the pilgrims and which the Fathers pressed upon visitors as they will do to this day. There must have been something of value in the monk's huts, because Macarius returned one night to find a thief ransacking his home. The saint saluted this rogue cheerfully, helped him load his donkey with the loot, and sent him away with his blessing. One can see why he was a saint. The...(cell) is the most important place in the life of a monastic after initiation. 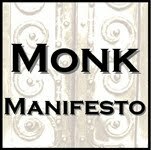 In some monasteries the monks consider their cells as holy as a church, and, as they do before entering a church, the monks take off their shoes before they go inside. In the words of one of the fathers: “Go and sit in your cell; the cell will teach you everything.” While the monastic stays in the cell (praying, keeping vigil, and doing works of repentance) he or she learns the essence of the monastic life and lives it. When one wants to know whether or not nuns hold an egalitarian position in relationship to the monks in the Coptic Church's hierarchy, an analysis of the condition of their cells can provide some useful information. With E. T. Hall's remark in mind that “space speaks” because it is a “message system,” one can look at various degrees of monasticism in connection with the place of the cell. In the highest degree of initiation, the male or female hermit lives in a solitary place, in or outside the monastery. The cell can be a cave, a traditional cell, a tomb, or anything that provides a certain degree of shelter. The hermit is self-supporting and only has to leave the abode once in a while to get provisions. The place is hard to reach and most of the time only a few people know where to find it. For the monks the location of the monastery in the desert is clearly removal from the world itself. And inside the monastery, there is the further division of public space and private space. Until initiation, the novice lives in the public space which he has to share with visitors, workers, and guests. The monks' cells are situated in private space and represent the quintessence of an ascetic life of seclusion. The interior of the cell is designed in such a way that the monk can stay alone for many days, never needing to leave. Not even the need for food can force him out of the cell since he can stock up and prepare what he needs in his own little kitchen. As an alternative to his cell, the monk can take a walk in the desert. A monk can, provided his spiritual father approves, stay in this cell and perform his prayers and daily devotions by himself. This means that his solitary and private devotional life has priority over communal devotions. The cell of the Egyptian ascetic defined him both in space and time, and was common to both communal and solitary ascetics. As mentioned earlier, two manifestations of asceticism arose in Egypt in the course of the third and fourth centuries, divided roughly between Upper and Lower Egypt: in the former, the coenobitic tradition founded by Pachomius (A.D. 290 - 347) at Tabennisi in the Thebaid was most common, and in the latter, the anchoritic custom of Antony.12 The region around Nitria and Scetis, about forty miles to the south, could be classified as a subset of Lower Egyptian anchoritic asceticism.13 This region is more or less characteristic of groups of ascetics, where several hermits lived together, often as disciples of an older and experienced ascetic known as an Abba. The cell in all three regions provided shelter and protection, not only from the elements, but from wild animals roaming the desert. It took many forms, ranging from ancient tombs lying deserted in the middle of the desert, to caves, in which the ascetic often competed with the animal kingdom for solitude.14 But a cell need not have been a pre-existing or natural structure; often a hermit would construct his cell out of materials available in the desert, such as lean-tos made of local Nile thrushes and wood from small desert trees, as well as recycling stone from ancient structures lying vacant in the desert. Furthermore, there is evidence that ascetics sometimes pooled their efforts, hastily constructing a cell in a matter of a single day, using mud-brick, the quintessential building material for the coenobitic monasteries founded by Pachomius in the Thebaid.15 But regardless of how they were built, or from what medium the cells took their shape, the cell was first and foremost the primary locus of the ascetic, defining the ascetic's utter rejection of the human world--the world defined by civilization and, subsequently, a world characterized by sin; the Egyptian ascetic, whether anchoritic, coenobitic or living with a few hermits harmoniously, (as in the region around Nitria and Scetis), was committed to his cell. The cell was the place where almost all daily activities were played out, and where the ascetic disciplined himself in the art of obedience: work, fasting, prayer, and meditation.